Delicious, Light, and Buttery Fruit Scones that are perfect for Afternoon Tea – Serve with Jam & Clotted Cream for a Classic Treat! 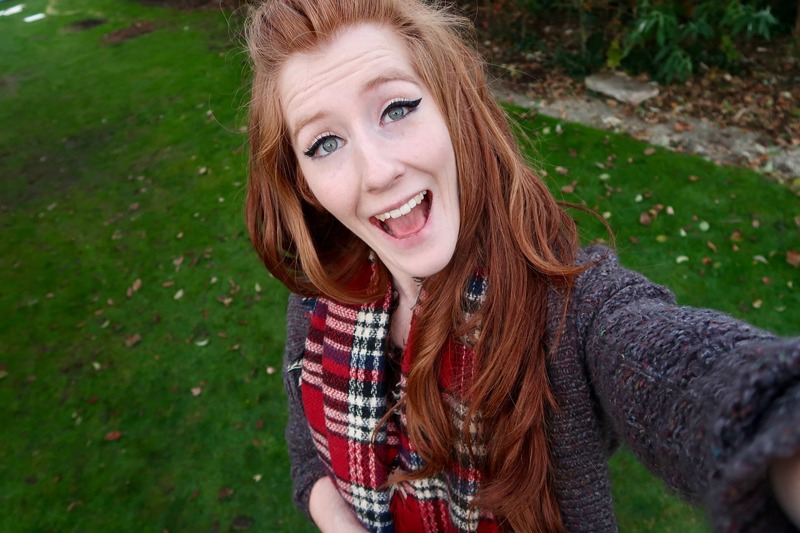 I love Afternoon Tea, and I LOVE scones. I have always been slightly obsessed with them, especially when I go down to Cornwall on holiday as they just seem to be that much better. 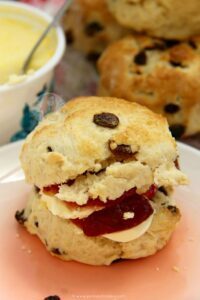 My Classic Buttery Scones have always been a popular recipe to go to, especially on weekends such as Father’s Day and Mother’s day, and I have wanted to post another delicious recipe in a while. I did also post my White Chocolate & Cranberry Scones which proved to be popular as they were ‘different’. I have wanted to post my alternative to my Classic Buttery Scones for a while as I have made them countless times, but they’re always gone before the photos could be taken! With this recipe, a couple of little things changed. I obviously added in the Sultanas to make them Fruit Scones! I increased the milk just slightly, and the same with the butter, and it makes the perfect difference because of the addition of the Fruit. The risk of adding dried fruit is that it can dry out, but the extra little touch of butter & milk has prevented that. Admittedly, my scones never look perfect, but why should they? It proves they’re homemade! I always always always serve my scones with Clotted Cream. 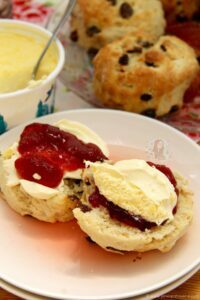 I then either add in fresh strawberries for example, or Jam, but Clotted Cream is a MUST. 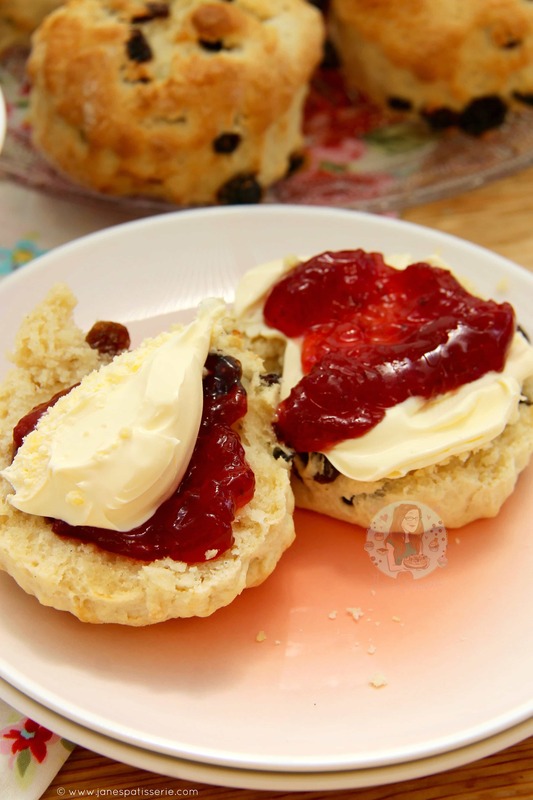 I use Rodda’s Clotted Cream because it’s just perfection, and suits a fresh scone ideally. I tend to lean towards Strawberry Jam, but any work! Whether you put Jam then Cream, or Cream then Jam is the million dollar question… but hey! I do one of each to keep both sides of the battle happy! This recipe makes 7-8, 5cm scones! 1) Heat the oven to 220C/200C Fan/430F and place a lined baking tray in the oven to preheat. 2) Tip the flour, salt, baking powder and butter into a food processor and pulse until it resembles bread crumbs – Pour the mixture into a bowl and stir in the sugar. Alternatively, rub the butter into the flour mixture till breadcrumbs are formed. Add the lemon juice to the dry mixture! 3) Heat the Milk in the microwave or on the hob so its warm but not hot – microwave will take about 30 seconds – you don’t want it too hot! Add the vanilla to the milk and mix. 4) Make a well in the dry mixture and add the liquid – stir with a spatula as it will be very wet at first – but it’ll soon dry out as the liquid is incorporated. Fold/knead through the sultanas till even. 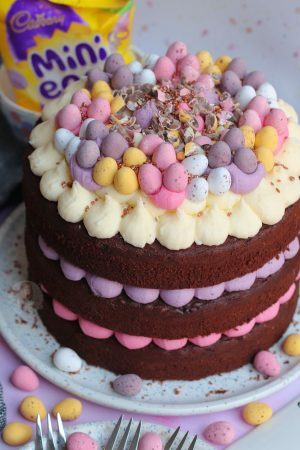 Dust the work surface with some flour and tip the dough onto it – fold the dough over a few times so it is smooth but do not over work it! 5) Roll the dough out till it is about 4cm thick. Dip a 5cm round cutter into the spare flour and cut out the scones – you will probably get four out of the first go! Repeat this again till you finish up all the dough! 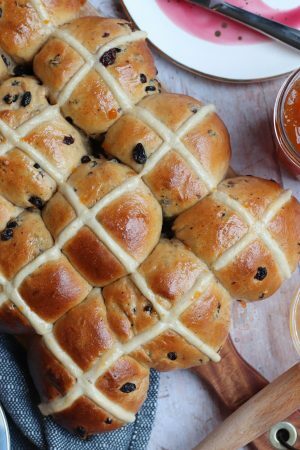 6) Take the tray out of the oven carefully and place the scones onto it – brush the tops with the beaten egg so its glazed and bake in the oven for 10 minutes – leave to cool slightly when baked, enjoy! 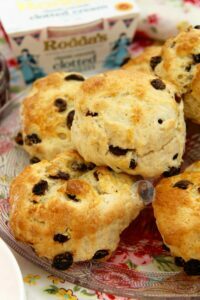 You could easily make this mix and use a smaller cutter so that the scones are more delicate which I often do – I then usually get 12 out of the mix then! I often find these are delicious when still warm as it makes them lighter and fluffier – however they do last in an airtight container for 2-3 days! You can reheat them in the microwave or oven! Older Next post: Caramel Rolo Fudge! 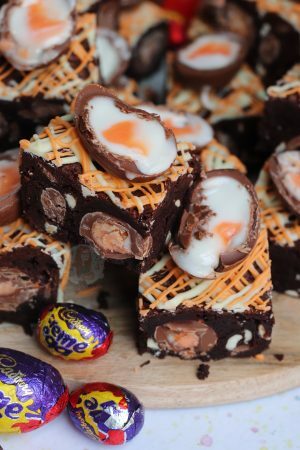 Newer Previous post: Malteser Cupcakes! I’ve made these three times in as many weeks! 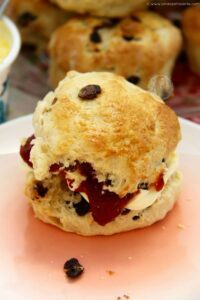 I’m not usually into scones but these are lovely. My husband will eat 2 or 3 a day and had one this morning for breakfast. 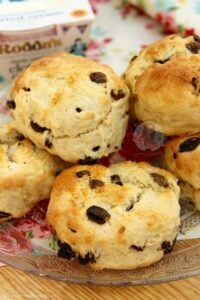 I’ve tried many fruit scone recipes and this has to be my favourite so far. Flavour and fluffy texture are just perfect. I used buttermilk on my second attempt and they were lighter in texture and tasted wonderful. I made these scones this weekend, with my 3 year old daughter, and they are perfect. Thanks Jane! I’ve tried out quite a few recipes and been disappointed. This one is going down in my book as a keeper. My daughter and husband loved them!! 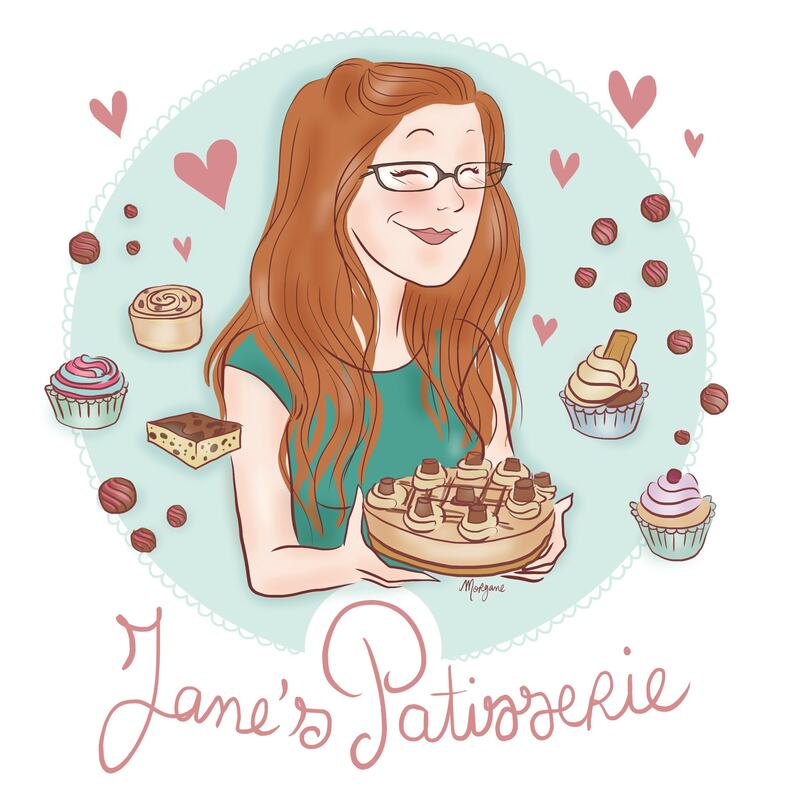 Thank you Jane! This scone recipe is just perfect. Tried the scones this afternoon with my daughter and they came out crumbly and delicious. I’ve tried so many scone recipes that I was starting to lose hope. Will be keeping this one as my forever recipe! Yum! Scones are something I wanted to try since I arrived to the UK last year. Maybe the right moment is just now! 🙂 They look lovely.